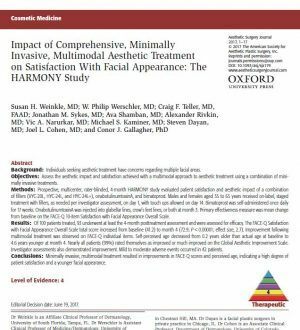 Dr. Michael Kaminer of SkinCare Physicians and several colleagues from around the country recently completed a comprehensive scientific analysis of non-invasive treatments for facial aging including Botox and fillers. The conclusions are impressive, and offer specific guidelines for how to achieve optimal and natural results. Sponsored by Allergan, this study creates new opportunities for achieving better results than previously possible.